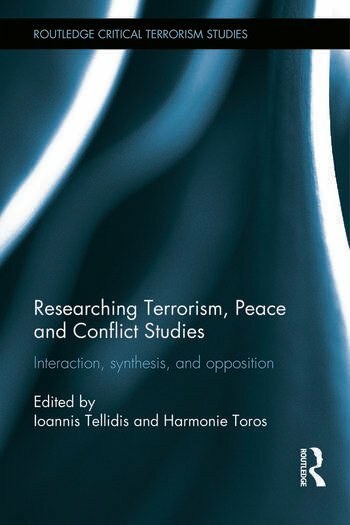 This book examines potential synergies between the fields of Terrorism Studies and Peace and Conflict Studies. The volume presents theoretically- and empirically-informed contributions, which shed light on whether the two fields can inform each other on issues of mutual interest and importance. The book examines key themes including the conceptualisation(s) of peace and violence; the exceptionalisation of terrorist violence; the relationship between scholarship and political power; the dysfunctionality of the liberal peace and the opportunities offered by post-liberal peacebuilding frameworks; and the implications and challenges of cyber-terrorism and cyber-conflict. Furthermore, the book intends to be a launching pad for future debate on whether the recent 'critical' turn in terrorism studies can offer a pathway for peace studies to engage with the so far largely ignored question of power. Consisting of not only key scholars but also practitioners and policy makers, the contributors present a number of case studies, including Colombia, Northern Ireland, the Basque Country, and Iraq, where they explore the relationships between terrorism and peace and conflict approaches. They critically analyse the statist approach inherent in both terrorism approaches and liberal peacebuilding frameworks; the role of the grassroots levels of society; the inefficiency of simplistic frameworks of understanding and implementation; and the chains of governance from international (and transnational) actors to national actors and finally from national to local actors. This book will be of much interest to students of terrorism studies, peace and conflict studies, IR and security studies. Ioannis Tellidis is Assistant Professor of International Relations, College of International Studies, Kyung Hee University, South Korea, and assistant editor of the journal Peacebuilding. Harmonie Toros is a lecturer in International Conflict Analysis and at the University of Kent, UK, and is author of Terrorism, Talking and Transformation (Routledge 2012).